Bullet Fragments found in plane meal?! Dr Michael Brown noticed the worrying warning on his menu. Airline food has never had a good reputation, however, one airline is taking it to a whole new level. 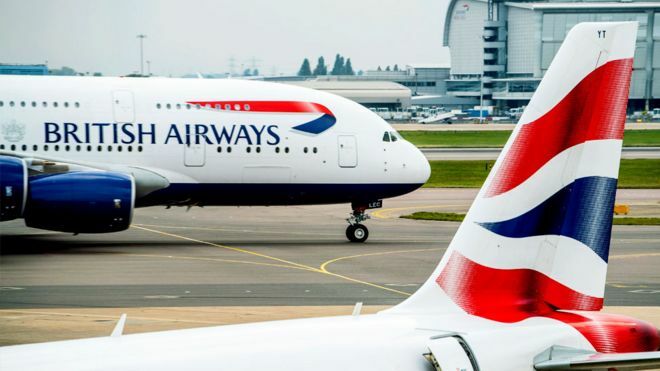 British flag carrier airline British Airways have been forced to defend themselves and their caterers after a Chicago-bound passenger noticed a warning which claimed the airline's Venison Stew meal may contain 'bullet fragments'. American radio show host Dr Michael Brown, who was flying back to Chicago from London and was sat in business class, shared the bizarre warning on Twitter. Alongside a photo of the menu card, he added the caption "You've got to be kidding me." In a later interview with The Sun, Brown said even the cabin crew were surprised at the warning. “The two flight attendants I spoke with had never seen or noticed this before but got a good laugh out of it,” he said. After the surprising warning went viral online, British Airways was forced to release a statement claiming the warning is real. “These warnings are there as a precaution and are common practice. We source the best British ingredients for our in-flight menu and this is no exception,” a spokesperson for the airline said. It is believed that bullet fragments could potentially come from farmers shooting the Venison, however, it definitely raises questions about how this process is done and whether another method would be better. WHAT'S THE WORST MEAL YOU'VE EVER HAD ON A PLANE? TELL US IN THE COMMENTS BELOW!